For the past three years, I’ve been working in the Hope College’s Events and Conferences Office writing press releases. If it was not for this job, I wouldn’t have known about the Knick movies in the first place. I’m so happy that isn’t the case because attending the Knick movies is one of my favorite activities to do on campus! The Knick Film Series? 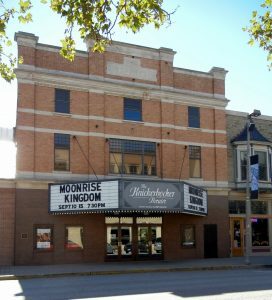 Formally known as the “Knickerbocker Film Series,” the movies are part of the theatre’s “tradition of showing new, independent and foreign films for the West Michigan community.” What does this mean? This means that these movies are not only NEW, but are also not likely to show up at a mainstream theatre. These movies aren’t your predictable, fluffy rom-coms. The films shown as part of the Film Series are engaging and entertaining, while still being thought-provoking and educational. There’s usually one movie per month during the academic year, and my best friends and I like to attend every one we can! These unpredictable movies’ endings aren’t the only thing that surprises me — what also surprises me is the lack of attendance by other Hope students like myself. This is why I’ve created this list of 5 reasons why you should attend the Knick movies. FREEEE! Although it’s not advertised in the press releases, the Knickerbocker Fall, Winter, and Spring Film Series is free for Hope College students! Just make sure to bring your Hope College ID to the ticket counter at the Knick, and you will be on your way to enjoying the film. If there is a Knick movie playing during a certain week, then it is shown Monday-Saturday of that week. So whether you have a night class on Monday, a team meeting on Tuesday or plans with friends on Wednesday, you still have three more days to attend the Knick movie. All movies begin at 7:30 p.m. and serve as a very nice study break. They’re a great activity with friends. Like I said before, my friends and I love to go to these movies. Bring your friends and enjoy the films together! Plus, if you’re all Hope College students, no one has to pay for their ticket. And the concessions are inexpensive and good! Some of my favorite movies previously shown include Loving, Our Little Sister, Mustang, and Phoenix. You know you’ve just seen a good movie if you’re still thinking about it the next day, and that is the case with movies shown in the Knickerbocker Film Series. The movies promote conversation and deeper thinking (if you’re into that stuff), but are still fluidly captivating and moving. If you’re not aware already, the Knickerbocker Theatre is located on-campus (well, right on the edge and on 8th Street). There’s no car-pooling or fuel needed to attend a Knick movie. So go ahead, take one of the new crosswalks on Ninth St to Anderson-Werkman and walk through the first floor until you hit the Knick! You won’t regret it. Now that you know about the movies and are aware of five great reasons why you should attend, I hope to see you there! There are still two more movies left in this semester’s Film Series. 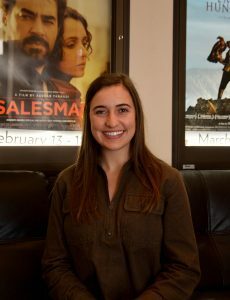 To stay updated on which movies are playing when, visit the Knickerbocker Film Series’ website, read the press releases on the Hope College News website or follow Hope College Events and Conferences on Facebook. See you soon! I have been a fan of Asghar Farhadi since we showed his Academy Award nominated film, A Separation, a couple of years ago. 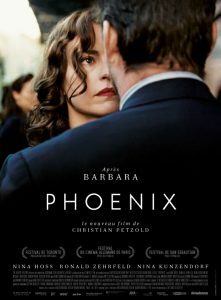 The film’s powerful characters, compelling story, and intense drama reminded me of the power of film. When we had the opportunity to book Farhadi’s latest film, The Salesman, I was quick to put it on the schedule. And the film doesn’t disappoint. The Salesman is nominated for the Best Foreign Film Academy Award and has already won over 80 awards from other films festivals. 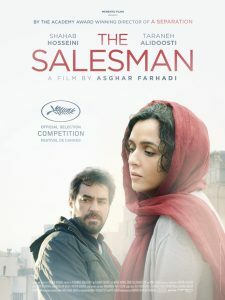 It is a powerful drama that on the surface is the story of a young couple whose peaceful lives are disrupted by a tragedy in Iran, but below the surface, The Salesman speaks to many themes much more complicated. At its heart, the movie is a morality play which examines the power of revenge and forgiveness, as well as offering an honest and revealing look at society and culture in modern Iran. Adding another level to the film is Arthur Miller’s Death of a Salesman, which is also a backdrop for the film. The Salesman begins with a young couple, Emad and Rana, a teacher and his wife who are also starring in a production of Miller’s Death of a Salesman. We first see them on stage in rehearsals for the play. Then their normal life is interrupted and they are forced to find a new place to live. Luckily a cast member has a vacancy in a place he rents and offers it to the couple. What seems a stroke of good luck is actually where the problems begin. Soon after they move in an incident happens — I won’t spoil anything — but it leaves Rana injured and Emad searching for the perpetrator. Both of them struggle with how to deal with what has happened, but in very different ways. As they try to come to terms the event and how it is affecting them, we see the increasing tension and distance start to appear in their relationship. These changes seem most evident at the rehearsals for the production. The play becomes the one place they actually communicate. As Emad’s quest for revenge builds, we are drawn into the differences between how he and his wife are dealing with this tragedy. What follows leads us to a gripping and explosive final act. The Salesman is filled with outstanding acting, but Shahab Hosseini (Emad) and Taraneh Alidoosti (Rana) present their characters with exceptional power and complexity. And as they struggle to reach some sort of closure about what has happened, their performances become more and more compelling. 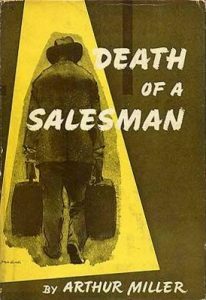 I can’t say that the production of Death of a Salesman and Emad’s role as Willie Loman parallels his emotional journey. In fact, in many ways, he is the opposite of the character, but the production provides an outlet for the characters’ emotion, and it may be that Willie and Linda’s collapse in the play shadows the collapse of Rana and Emad’s life as well. In the end, we are left with fewer answers than we want, but wiser for the journey. The Salesman is in Persian with English subtitles and runs 2 hours and 5 minutes.